Join Eco Insider for their Lanzarote Vineyard Wine Tasting Tour, where they do the driving so you can do the tasting! This bodega hopping excursion is a full day out and offers a comprehensive wine tasting experience in Lanzarote. Participants are wined and dined on this excursion, not only will you visit three of Lanzarote’s vineyards, a full Canarian lunch is included too. Lanzarote’s wine region is unique, during the day you will learn how this moonscape of volcanic ash was planted to produce award winning wines. Our wine harvest is completed by hand, these vines are not accessible to machinery, this is labour intensive, back breaking work. 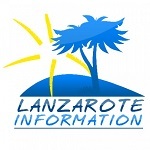 Transport: Return transport from your Lanzarote accommodation. You can book online here: http://eco-insider.com/how-to-book/ or telephone (0034) 650 819 069 to reserve your places.